Okay, so I've been wondering where this band have gone. 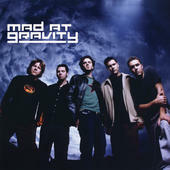 Mad at Gravity appeared on a Rocksound magazine sampler CD way back in 2002. They were alternative rock band, kind of similar to Cold, Unloco and bands like that. They released one album called Resonance, and then appeared to disappear. It's a pity because they were actually a pretty solid band. 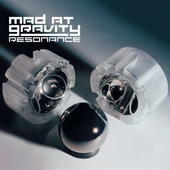 The song that appeared on that Rocksound sampler was called Burn, and you can listen to it on their no longer used, but active myspace profile - http://www.myspace.com/madatgravity. They may not be in the same vein as many bands I've featured on my blog so far, but I don't care, I just wanted to give a shout out to a band that I listened to during my school days and for being one of the bands that got me into metal and bands I hold in such high regard now! It'd be cool to hear from anyone who liked the band. Also, I'm going to do some more posts about long forgotten bands from those Rocksound samplers or from the deep recesses in my head. Thanks.